Today’s RVs, no matter what kind, come from the factory with a number of safety items installed to prevent personal harm to their occupants. With an array of detectors pre-installed to detect dangerous circumstances, RVers can feel very comfortable knowing that the industry is looking out for their well being. 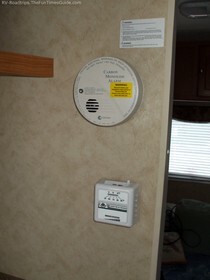 Fire is a leading cause of accidental death, but your RV smoke detector isn’t the only one you need to check each year. 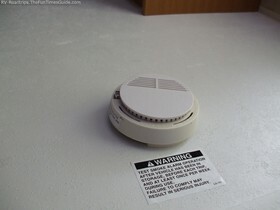 Smoke detectors are the most common safety device today. A very low-cost yet effective battery-operated unit can be purchased for as low as $5. Some localities often have special events where they give out smoke detectors free — usually in conjunction with some event sponsored by the Fire Department. Smoke detectors can also be purchased as combination smoke and carbon monoxide detectors. Required inside homes in most states, they have also been standard equipment in RVs for a number of years. Carbon monoxide is a colorless odorless gas that is present during the combustion of fossil fuels. If your furnace is damaged due to rust or cracks, then carbon monoxide can leak into the living area of your RV. It silently replaces the oxygen in the air — suffocating those who breathe it. LP shut-off detectors close off the LP gas supply when they detect the presence of flammable gas inside your RV. If you make the same mistake I’ve made and turned your stovetop knobs the wrong way (thinking you were shutting the burner “off”), this will save you from an explosive situation. Unfortunately, RV stovetops are set up so that turning the knob all the way counter-clockwise brings them to Low rather than Off. At the same time that you’re changing batteries and inspecting the monitors inside your RV, you should also look for potential problem areas or hazardous situations. Goofy mistakes like ‘the paper towel rack being located too close to the stove’ can cause a fire very easily. Take the time now (and every year at this time) to look for problems before they become problems. For example, do you carry a supply of fuses for your 12-volt electrical panel? Wrapping a burned-out fuse with aluminum foil is a situation begging for a fire to get started! Do you have a quality first aid kit on board? 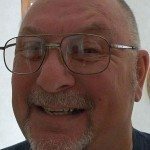 They don’t cost much, and when the time comes that you need one, you sure don’t want to be wasting time looking for alternatives! The first aid kit is a good place to keep a sewing kit too. Splitting your britches can be an emergency in most social circles. Lastly, check the fire extinguisher inside your RV. If you don’t already have one (or if yours is “expired”, check the tag), then a fire extinguisher should be at the top of your must-have list of accessories. Don’t bother with those small, easy-to-put-in-a-drawer models. When a fire gets going, you want more than one short squirt to stop the flames before they spread! Get a 5lb ABC-rated fire extinguisher, and mount it right out in the open where you can get at it quickly. Locked away in the back of your outside storage compartment makes it useless. It needs to be pretty much within an arm’s reach to be of any use. With all the man-made products inside an RV, fire spreads very quickly — in a matter of seconds it can become a “Get out now!” situation. Need proof? Watch this video of a motorhome on fire and check your watch to see how fast a burning RV becomes a pile of ashes! Remember, when you go to the store to buy Halloween treats each year, the reminders on TV will have you picking up new batteries for detectors in your home. Don’t forget your RV is a home too! Be sure to replace all safety detector batteries. Take a look at the gauge on your fire extinguisher. Give it a good shake too — to make sure the dry chemical hasn’t turned into a solid block. Inspect your RV for fire hazards and other potential problems. This should become an annual routine.